Choosing beneficiaries for your retirement accounts is different from selecting beneficiaries for your other assets like life insurance. With retirement benefits, you must know the influence of estate tax and income tax laws in order to choose the suitable beneficiaries. Though, taxes should not be the only determining factor in naming your beneficiaries, as ignoring the influence of taxes could result in making a wrong choice. Additionally, if you are married, designation of beneficiary might affect the size of required distributions to you from your retirement plans and IRAs when you are alive. Many inherited assets like stocks, real estate and bank accounts pass to your beneficiaries without income tax being paid. Though, that’s not generally the situation with IRAs and 401(k)s.
Beneficiaries pay regular income tax on distributions from traditional IRAs and 401(k)s. With Roth 401(k) and Roth IRA accounts; however, your beneficiaries can inherit the monies free from income tax if the overall tax requirements are met. This implies that you must consider the influence of income taxes when designating beneficiaries for your IRA and 401(k). When you begin participating in a 401(k) or open an IRA, you should be provided with a form to complete to name beneficiaries. Changes are made in a similar manner – you must complete a new beneficiary designation form. A trust or will doesn’t override your beneficiary designation form. Though, spouses might have special rights under state or federal law. Reviewing your beneficiary designation is a good idea at least every two to three years. Beneficiary designations are very important for the documents of estate planning. As an Estate Planning Attorney in Wisconsin, I can help you with this. When it comes to the beneficiary designation forms, you want to circumvent the gaps. If you do not have a named beneficiary who survives you, then your estate might end up as the beneficiary and this is not a good result. Your primary beneficiary should be your first choice for inheriting the retirement benefits. You can name more than one entity or person as your primary beneficiary. If your primary beneficiary doesn’t survive you or decides to decline the benefits, then the named successor beneficiary would inherit the benefits. From the point of taxes, your spouse is the ideal choice for primary beneficiary. A spouse beneficiary has great flexibility in delaying the distributions which are subject to income tax. Additionally, rolling over an IRA to his/her IRA or plan or 401(k), surviving spouse can make the decision to treat your IRA as his/her own IRA. These options can give them more tax and planning options. If your spouse is over 10 years younger than you, at that point naming your spouse can likewise decrease the size of any required taxable distributions to your retirement assets when you are alive. This can enable assets to remain in the retirement account longer and delay the income tax payment on distributions. Though naming a surviving spouse can lead to the best income tax result, this is not inevitably the case with death taxes. 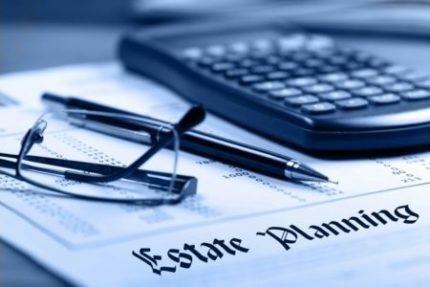 At your passing, your spouse can acquire an unlimited amount of assets and defer federal death tax until both you are deceased. You have some limits in selecting beneficiaries other than your spouse. 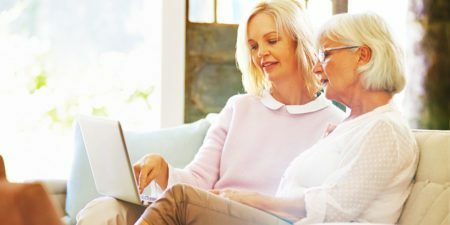 No matter, where you live, federal law dictates that your surviving spouse is the primary beneficiary of your 401(k) plan benefit until your spouse signs a timely and effective written waiver. On the contrary, if you live in one of the community property states, your spouse might have the rights associated to a portion of your IRA irrespective of whether he or she is named as the primary beneficiary. Generally, naming a charity as the primary beneficiary will not affect the required distributions to you during the course of your lifetime. Though, after your death, having a charity named with other beneficiaries on the same asset might affect the tax-deferral possibilities of non-charitable beneficiaries this could cause the entire amount given to individuals to be immediately taxable. I can aid you with all the estate planning aspects and take into consideration the needs of your beneficiaries. If you don’t plan on spending all your IRA/401(k), a properly drawn trust can offer creditor and divorce protection for your beneficiaries and also allow your beneficiaries maximum stretch out of the inherited plan monies i.e. allow the monies to grow significantly by minimizing required withdrawals. It may also allow the family to shift assets to the lowest taxpayer (a grandchild for example) which could allow the withdrawal of IRA/401k monies with no tax because the individual is in a zero tax bracket. Most trusts will not work properly so use an experienced Attorney. If you are ready for personalized help, call me today! Choosing beneficiaries for your retirement accounts is different from selecting beneficiaries for your other assets like life insurance. With retirement benefits, you must know the influence of estate tax and income tax laws in order to choose the suitable beneficiaries.